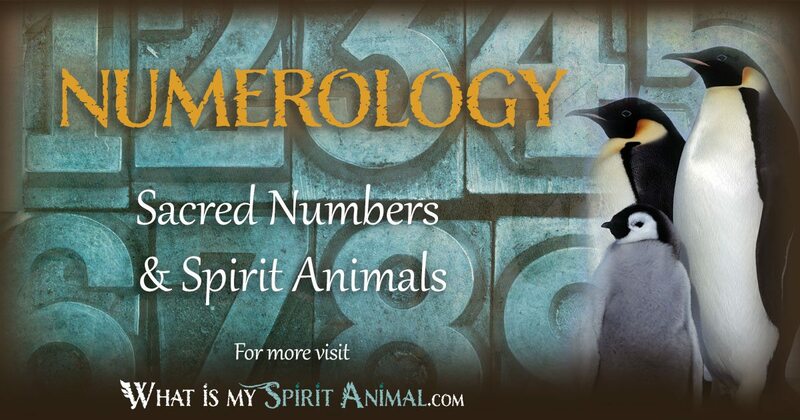 To understand how our Spirit, Totem, & Power Animals tie into Numerology we have start with the number meanings and symbolism in general. The belief behind Numerology is that there is a conceptual relationship between numbers and all things in the Universe. Numerous mathematicians and philosophers studied this system (including Pythagoras) in hopes of finding another way of understanding mysteries that nudge at human consciousness. As with any divinatory system, Numerology has many different theories depending on the culture or era you study. 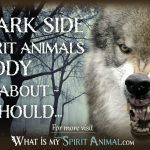 So bear in mind that what we share here is a generalization on the broadest symbolism of Numerology meanings and how to apply them to your animal spirit guide studies. Numerology plays a role in various metaphysical practices including Astrology, Feng Shui and the Tarot. These practices also have animals that tie to their meanings and applications. There is also dream interpretation where seeing X number of a specific animal acts as a portent or message. This is also true in meditation or in natural settings where you come by a group of animals by happenstance. Specific examples for each number follow to put this into perspective. The numbers most frequently discussed in Numerology are 1 through 9, 11 and 22. In Numerology, 11 and 22 are considered master numbers and they ‘operate’ at a high vibrational level. Lightworkers tell us these numbers often appear during surges in spiritual and/or personal growth. This will become more apparent later in this article. 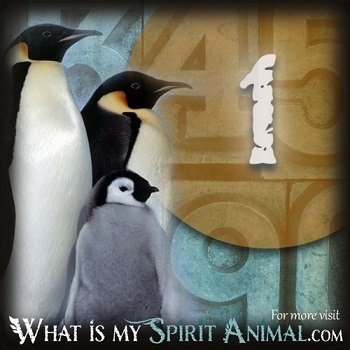 In Numerology meanings, the Number 1 symbolizes the primal energy from which all things spring forth. And, so, the Number 1 symbolizes the beginning, the ‘creator’. The Number One has movement, a purpose that leads to productive results. Number 1 is a strong leader who is filled with determination, steadfast and resolute. Many mystics say this is the number of the Monad (God), the singularity that produced the Universe in all its glory. Thus 1 is a number that vibrates with manifestation and transformation. It is a building block for other numbers, bring dreams within our grasp. Number 1 is not complex. It is a forthright number that draws a firm line between right and wrong, good and evil with pure pragmatism. It is the number of staunch individuals and clever warriors alike. It is strongly masculine, justice-driven and principled. One seeks after clear truth and cannot withstand pretense. When expanding Number 1 symbolism and meanings into the animal world, it is not uncommon to see a singular creature. 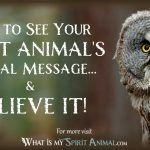 If that creature is your Spirit, Totem, or Power Animal it bears a message for you. If it is another creature, and one that you find fascinating or somehow out of place, then you can consider that animal’s meaning and symbolism in basic terms – keep it simple like the Number 1. For example, a Wolf is a loyal pathfinder who may be telling you that you are going in too many directions – narrow your goal to 1 heartfelt thing. Rabbit speaks of alertness and the ability to move swiftly out of harm’s way. Watch the direction in which Rabbit runs for more insights. Humming bird represents life sweetness – stop and smell that flower! In Numerology meanings, the Number 2 symbolizes partnership and peace. In order for Number 2 to work effectively it must find a middle ground through diplomacy and tact. Number Two forgives much, and dislikes confrontation. Where Number 1 was all about masculine power and standing one’s ground, Number 2 is feminine and flexible. This is truly the great power in 2. This number has the capacity for humility without loss of self. She knows her role in life and follows that bliss. If there truly is a woman behind every great man, She is the Number 2 – his ally, counsel and voice of reason. Number Two often works from the sidelines, using observation and gentle persuasion to get things moving effectively. 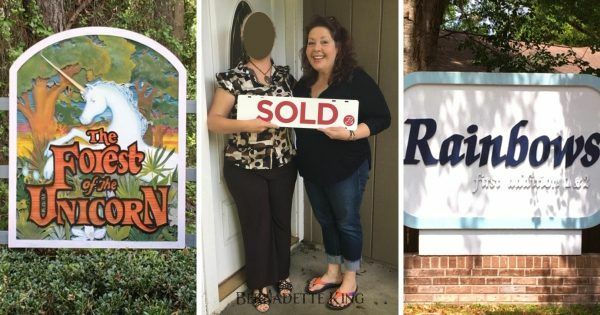 Two “gets” people – she sees what others do not. Unwilling to rush good things, 2 remains patient and really doesn’t worry about getting credit for a job well done, as long as the results are positive and uplifting. In social settings Number 2 loves the arts, particularly music and can talk to nearly anyone about anything. There is keen humor here, but also sometimes quite the temper (thus the symbolism of balance). Number 2 has the capacity for intense devotion and loyalty. When in the company of someone who supports the sense of self, a loving environment grows. Number 2 guides through intuition. In Greek mythology 2 was the number of Hera whose sacred animals include the Hawk, Crow, Cuckoo, Lion, Peacock and Cow. Seeing two of these animals represents a message from Her. Hera oversees childbirth, fertility and marriage – She is the Queen of Heaven. When expanding Number 2 symbolism and meanings into the animal world an example would be seeing two Peacocks in your dream. Seeing two birds could herald a time of expanding your wings with a partner and renewing your self-confidence. It may also portend a family addition. On a side note humans could be an animal representation of 2 because we walk on two legs. In Numerology meanings, the Number 3 symbolizes creativity and the inner child. If Numbers 1 and 2 represent the proverbial Father and Mother of the Universe, then Number 3 might well be called a product of that union – a child, filled with potential and hope. Number 3 is very creative and expressive having superb social skills and seemingly endless energy. Add charm and humor to that equation and you have a nearly perfect recipe for the laws of attraction. Three enjoys the limelight. It approaches life with optimism but isn’t very adept with challenging problems. The bright side of life is where 3 prefers to live and when shadows hover that normally happy-go-lucky exterior may fade to gray clouds. In such times 3 must reach beyond themselves for support and guidance. Three is a fortunate number that seems to have a drum beat all its own. Number 3 ends up where it needs to be when it needs to be there. Nonetheless relationships can prove difficult as the child within isn’t fond of responsibility and deep subjects. This number is better off being an acquaintance where it can slowly build on that insecure core rather than jump into something requiring more vulnerability. With motivation 3 can slowly attend to life’s deeper questions and find serenity. Play will always be a part of 3’s life, as will an understanding of the importance of feeding the inner child. These are two things that give 3 longer lasting happiness. When expanding Number 3 symbolism and meanings into the animal world be sure to look not only at how many animals appear, but consider physical characteristics of them as well. For example, Cats have three eyelids, and they are also associated with magic (Three is a magic number!). Camels also have three eyelids and the Octopus has (count them) three hearts! Folklore tells us that seeing three Crows portends major change so buckle up as the ride might be bumpy. Seeing three Deer acts as a caution to pay attention to all of your senses – body, mind and spirit (TUNE IN!). Mythology also plays a role here. Three legged creatures appear in a variety of stories and artistic renderings. The three legged toad of Feng Shui, for example, is a charm for prosperity. In Numerology meanings, the Number 4 symbolizes foundations and stability. Number Four is a masculine number filled with strength, reliability, timeliness and the power of tradition. Where Number 2 was a bit flamboyant, Number 4 is stayed. He is steady and sure with unrivaled persistence. Number 4 prefers quietly working on the sidelines where he can focus with little interruption. At the end of the day Number 4 takes great pride in meeting goals and often experiences financial compensation for a job well done. Healthy and tidy Number Four always has one, if not both feet on the ground. Number 4 has a strong sense of space, and claims his corner of whatever environment he lands in. Detail-oriented with a nearly photographic memory 4 may seem almost psychic but really isn’t. Using these mental skills allows him to navigate socially when he is really somewhat of a loner. 4 is the sacred number of craftsmen and others who love working with their hands. Every project has specific plans and they follow them to the letter. Four hates randomness and chaos and avoids it as much as possible. Jungian psychology tells us that dreaming of dogs indicates a need to get to the heart of something going on within our psyche. This is an instinctual response to something you’re overlooking. Combined with the Number 4 perhaps you need improved foundations and focused goals. Alternatively if the dogs are moving away from you it may represent the need to stand down for a while and take a break. When expanding Number 4 symbolism and meanings into the animal world, interpretation can depend on your knowledge of myth and legend. For example, in Chinese mythology there are four animals who govern the corners of creation. They are a White Tiger in the west, A Vermillion bird in the south, an azure Dragon in the east and a black Turtle in the north. Of course, Turtles, Birds and Tiger are real creatures that you might encounter in nature while Dragon is ‘myth and fantasy’. However, there are Lizards who are ‘Dragons’ and Snakes are ‘related’ to Dragon energy. Seeing all four in one day would be quite propitious so keep a watch out for the symbolism and meanings of each animal you encounter in a day. Jot the experiences down in a journal so that later you can discover what messages your animal spirit guides teamed up to tell you. In Numerology meanings, the Number 5 symbolizes transformation and pure energy. Five is the dynamo of the Numerology world. Most students of Numerology feel that five is both masculine and feminine with just enough daring to keep things very interesting. Number 5 yearns for adventure. This is not a fixed number but rather one that loves moving from place to place and discovering new things. When in a relationship Number 5 becomes firmer. Here they will not stray or mislead. Outside that setting, however, Number 5 has numerous partners and friends, which helps satisfy the need for variation and uniqueness. Career wise Number 5 is not a “lifer” … you’re lucky if you get a few steady months before something else attracts their wandering eye. Most 5s don’t find their niche until maturity (around 30-40) after which they become more successful often looking to own their own business so they can run it as they deem fit. Environmentally Number 5 is adaptable. This creature has charm, charisma and a whole lot of tolerance. This is not a being of convention. The unorthodox offers far more interest. This is why the souls who think out of the box love 5. They feel welcome in that circle. Be it a person or an animal Number 5 represents freedom of action and thought. No dogma allowed. Taking chances is part of the energy of 5, but in small helpings. There is always a good reason for 5’s actions, you just have to figure it out. One possible Spirit, Totem, and Power Animal that comes to mind with the Number 5 is the Star Fish, which symbolizes the aphorism of “as above, so below”. It also represents the five senses and our ability to interact with nature through them. Other meanings associated with Starfish include patience, magic, health, long life and resourcefulness. When expanding Number 4 symbolism and meanings into the animal world, encountering five animals in your dreamscape or other settings points you ward something new and daring. A lot here depends on the creature. For example five birds might act as encouragement to take a spontaneous flight somewhere. By comparison 5 horses could be a message to rein in your senses and take back the driver’s seat of your life. In Numerology meanings, the Number 6 symbolizes harmony and love. Number Six rings with the energies of caring and love. It has strong maternal overtones and characteristics that include nurturing, giving, protecting and educating. Number 6 is the hub around which communities revolve. This communal nature represents itself heavily through constant interaction. Not much escapes the Number 6, to the point of sometimes being annoying. Even so, the goodhearted nature represented here makes it difficult to get upset. Wherever you have 6 you have harmony, justice, sympathy and charity. The personality of Number 6 is that it internalizes responsibility deeply. Its about doing what is right no matter what. Idealism drives 6 to often carry the burdens of those who cannot help themselves without expecting praise. This tendency means that Number 6 may be taken advantage of, and this hurts deeply. Nonetheless, 6 remains true to her spirit, continually acting gracefully and honorably. The caution with Number 6 is that sometimes disharmony creates a cynical response. Because of its connection to responsibility, caring and love, Number 6 symbolism and meaning is associated with lovers. In nature this could pertain to creatures who mate for life such as wolves, swans, red tail hawks and angler fish. From the perspective of omens and signs, seeing six of a creature together definitely speaks to your relationships. How are the animals acting? Is there harmony or discord? In Numerology meanings, the Number 7 symbolizes seeking and comprehension. The search for truth drives the number 7 ever forward. Nothing is ever as it appears. Face value only opens another door to find something deeper and more meaningful. The number 7 brushes away illusions like curtains to another reality. Number 7 is far more brain than emotion. It likes being alone to think and even dream a bit. Number Seven looks at the world with wholly unique eyes, ever exploring things that seem to lack easy answers. This draws Number 7 into a symbolic marriage with things magical and mystical, based heavily on personal experiences. Number 7 isn’t overly concerned with financial outcomes as much as those projects that feed the mind. Never one for making a fashion statement or worry about sports, 7 does know the arts and strategy. In Thailand the Number 7 is associated with the story of how the Pleiades formed. They came from 7 baby chicks who jumped into a fire when they saw their mother burning. Afterward they were transformed into stars and children born when the moon is in Pleiades are said to be most fortunate. Greeks and Egyptians considered 7 a lucky number, so seeing specific creatures in clusters of 7 could portend a positive change on the horizon. Some of the common Spirit, Totem, and Power Animals associated with luck include Bees, Goldfish, Ladybug, Horse and Spider. Interpreting Number 7 symbolism and meaning in the animal world is a little tricky when it comes to one of its major symbolic meanings. The Number 7 is the number of solitude. Number 7 likes to be alone – especially alone with its thoughts. So, seeing a cluster, herd, gaggle, clutch, pod, et all of 7 animals could mean you’re spending too much time surrounded by others. 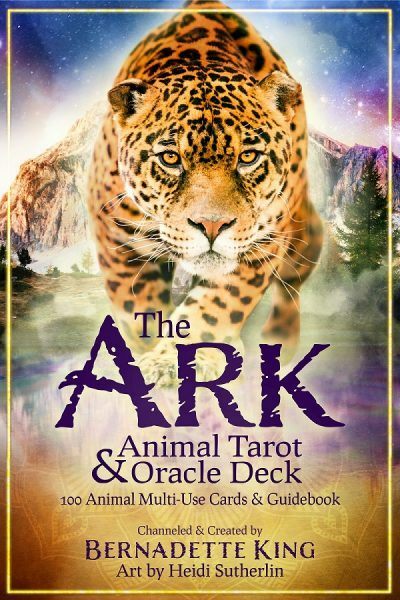 Your animal spirit guide might be telling you its time for some ‘you’ time. In Numerology meanings, the Number 8 symbolizes power and prosperity. The Number 8 has strong ties to the areas of jobs, finances and personal power. However before we get overly excited, realize that visually Number 8 is balanced, and often symbolizes a call to find symmetry in our life between the mundane and mystical, between money and love, etc. Number 8 brings Karma in its wake, for boon or bane. From the spiritual perspective the appearance of 8 gives us practical expectations about our Path and vision. In the material, prosperity becomes a useful tool for achieving goals. Some of the common characteristics associated with Number 8 include determination, order, productivity, adeptness, realism, mindfulness and the ability to lead with tact. This is why sensitives often associate 8 with success particularly in careers. In relationships Number Eight represents a very pragmatic partnership based more in logic than romance, but where there is certainly room for honesty, forgiveness and deep love. When 8 animals appear in your dreams its generally a fortunate sign, with minor variances depending on the creature. Some animals often associated with providence and prosperity include Deer and Fish (China), Eagle and Buffalo (Native American) and Frog (Rome and China). Always remember that the Number 8 symbolizes ‘mind over matter’. So, if you’re going through a tough time pay special attention to signs from your Spirit, Totem, and Power Animals. 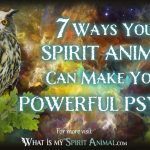 Seeing 8 animals grouped together or even 8 animals in one day could be a signal that it’s time to believe in yourself – that you have the mental capacity and strength to get through the tough times. In Numerology meanings, the Number 9 symbolizes sophistication and global thinking. As the last of the single digit numbers, Number 9 is highly advanced and global-minded. Number 9 sympathizes with the community of the world, human and animal alike. Be it a Bird in the back yard or a creature on a far mountain top, Number 9 sees all living things as gloriously intertwined in a beautiful dance. The compassion and generosity of Number Nine knows little bounds. This sacred number is a humanitarian with a white light conscious guiding actions. Some of the characteristics assigned to Number 9 include patience, harmony, inspiration, the rhythm of life and even perfection itself. Freemasonry lists it as the number of immortality. Both Greeks and Romans held it sacred, and the Aztecs connected it with terrestrial animals particularly nocturnal ones. There are a variety of ways that Number 9 symbolism and meaning makes itself known in Animal myths, lore, dreams and nature. For example the Chinese Dragon consists of nine animals – Camel, Crow, Stag, Snake, Clam, Tiger, Eagle, Carp .. and, oddly, Demon. This particular image holds good luck, prosperity, and auspicious occasions. In the Zodiac, 9 is the number of Aries the Ram, and Scorpio the Scorpion. The Ram is a highly determined creature filled with passion and bravery. The Scorpion is likewise passionate and brave as well as very inventive. Dreaming of 9 animals represents a call to humanitarian action and recognition of those unwritten laws governing the Universe. New beginnings are on the horizon. Some Spirit Animals that may communicate this message include the Crow, Owl, Spider and Elephant. One caution when you see 9 animals in a group or throughout your day. The Number 9 wants to heal the world – all at once! So, having the Number 9 pop up in your awareness is a sign that it’s time to slow down. You’re spreading yourself too thin. Pick one or two causes and give them all you’ve got. Remember, a well that’s run dry has no life giving water to share. Take a deep breath and trust that you’re doing enough – in this moment, you’re doing enough. In Numerology meanings, Master Number 11 symbolizes spiritual enlightenment. Master Number 22 symbolizes ascension. As we get into higher numbers it becomes less likely to encounter animal spirit guides in groupings of that size – in person. However, it is possible at zoos, wildlife preserves, aviaries, certain advertisements and of course in our meditations and dreams. So, even if you happen across a social media video or post, don’t dismiss its message. Eleven and Twenty-Two are important as they are considered Master Numbers with a unique magic. In Numerology meanings, these numbers are not reduced to singular digits, but remain whole. That is because their symbolism is quite potent and transformational. Master Number 11 represents the full potential of living things to reach heights unexpected. These are the Old Souls of the earth, such as Tortoise and various Whale species. These Animal spirits hold the earth’s history sacred and know many of its mysteries. Number 11, like 1 is masculine and balances supernatural with the mundane, the mental with the physical. By comparison, Master Number 22 is feminine and intuitive. Here we have the manifesting power of the Universe energetically reaching out. It is the number of Building – applying our knowledge for results. Some of the animals associated with manifestation include Scarab beetles, Crow, Orangutan, Cricket, Elk and Bison. As you can see there are many ways in which numbers give us greater insights into messages from our animal spirit guides. From the world of dreams and meditation to the wonders outside your window, consider Numerology as one more dimension of spiritual awakening, particularly as you grow in your relationship to your Spirit, Totem, or Power Animal. Aloha my name is Ryan. My birthday is 11/06/1989. I have two spiritual animals come to me today. The tiger and the wolf at the same time first tiger and wolf right after. The tiger was Fierce with the mouth open and the wolf calm as day. I always see the numbers 12-34 on the clock. By the time I finish this it will be 12-34pm in hawaii where I live.